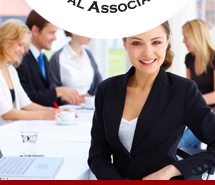 Southwest Florida Paralegals Association, Inc.
State College of Florida offers a CP/CLA review course at its Bradenton Campus. For more information, please view the syllabus on the SCF website. Please log on to the SCF website to register for the course. A high school diploma or equivalent plus 7 year's experience as a paralegal under the supervision of a member of the bar, plus evidence of a minimum of 20 hrs of continuing legal education credit completed within the 2 years immediately preceding the examination date. © Site Content by Karin Turner and the SWFPA Website Committee. Website Design and Hosting by Team Lightning. Click Here to Report a Broken Link.